Ok, so I’ll admit something to you. This craft wasn’t nearly as easy as I thought it would be. So I’ll show you what I did and then I’ll tell you how you should do it if you want to save a lot of time. Carter had two student teachers who finished working with the kids last Friday, so I made personalized clipboards for them. Each teacher’s name and the date are written long-ways down the side followed by the year. And then the names of all the students they teach are listed in a ‘word cloud’. 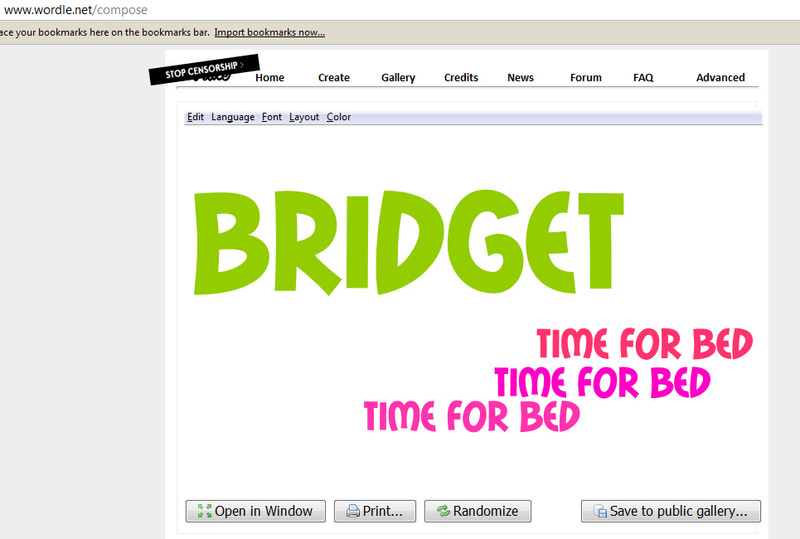 First I went to wordle.net and used it to help me create a template for all the names. Once I did that I figured out which names I wanted to be which color. For the clear clipboard, I used white, black, and red. For the pink (which looks red in pictures), I used hot pink, lime green and white. 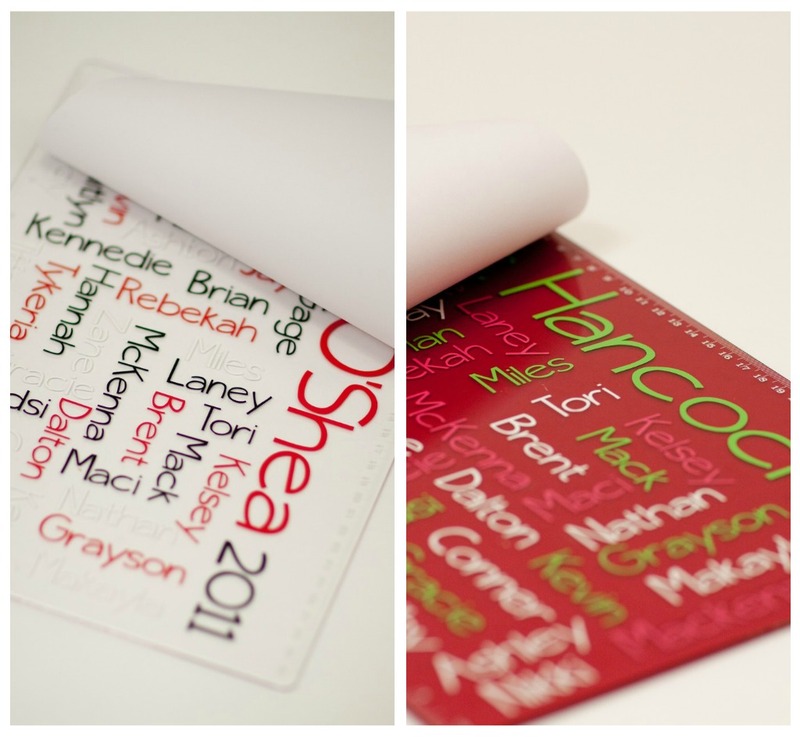 And cut out three different sheets (one of each color) with all the names on them. Then I removed and discarded the names I did not want in that color. 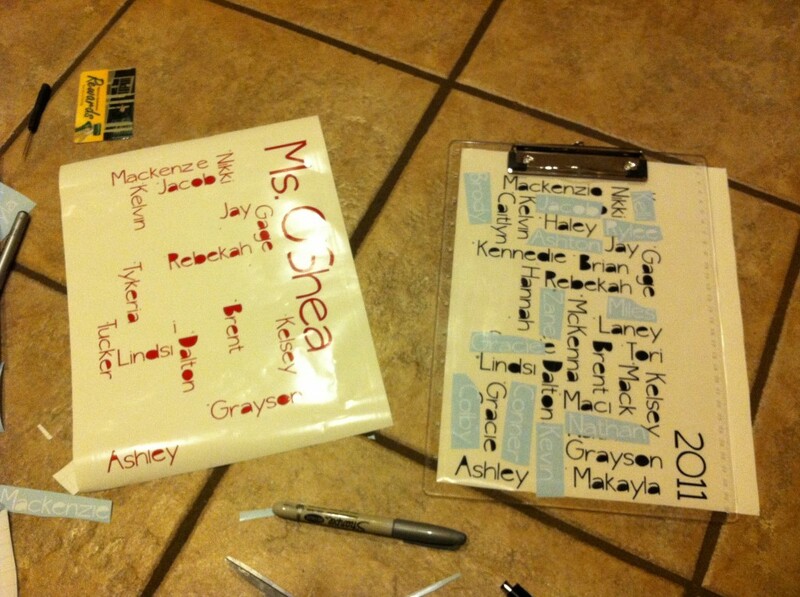 (This wasted a good bit of vinyl, but was a pretty big time saver when I was trying to put all the names on. And it made it much easier to keep everything straight. I put the names on one layer at a time: all the red names, all the black names, all the white names. And ta-da! I was done! (It doesn’t sound like it took me long, but ask Marshall. BUT I know that not everyone has access to a Silhouette machine and not everyone wants to spend forever on one project. You’ll need a wooden clipboard, some pretty paper, some plain coordinating paper, Mod Podge and a brush(I like foam brushes). First you’ll start by mod podging the pretty paper onto the top of the clipboard. While that is drying, go to wordle.net and create a word cloud. They do offer an advanced option if you want to weight certain words. Once you get the sizes right, you can play with color and layout and font. And when it is perfect (or at least good enough), simply print it out. Then mod podge that paper on top of the decorative paper and wait for it to dry. I hate that I don’t have a picture to go with this, but I simply ran out of time. If any of you make a mod podge one, send me the pic and I’ll post it!